It should come as no surprise to find out that e-cigarette use has exploded over the last few years. While this new fad has replaced traditional cigarette use substantially, the safety of this alternative has not really been proven or explored. 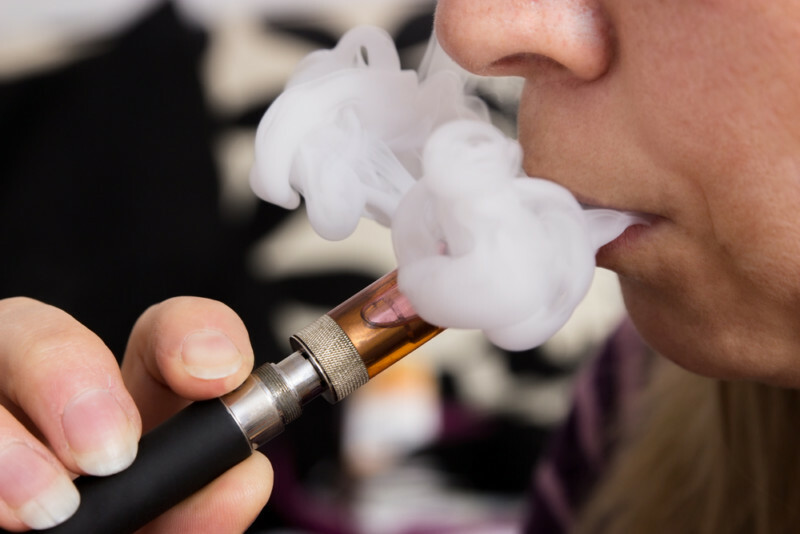 As e-cigarettes are still nicotine-based devices, it’s important to understand the repercussions this new fad can have on your oral health. As we explore the effects of e-cigarettes, consider consulting with your local trusted Aliso Viejo Family Dentist. According to Statistic Brain, 10% of teenagers claimed to have tried e-cigarettes compared to only 2% of adults. Due to this, adolescents are at more of a risk for developing nicotine-related issues. Nicotine is a stimulant that, when inhaled, is absorbed by the lungs into the blood stream and passed within seconds to the brain. As a drug, nicotine works by both stimulating the user through low doses and relaxing the user in higher concentrations, says Pediatric Dental World. Nicotine has been classified as one of the most addictive substances commonly available. How does nicotine affect my oral health? Nicotine restricts blood flow through the body by narrowing blood vessels, an affect called vasoconstriction. This means that blood flow is restricted to the gums which then greatly increases the likelihood of periodontal (gum) disease. A lack of oxygen and nutrient supply to the gums makes them more prone to bleeding gums, tooth decay, tooth loss and bad breath. Are e-cigarettes better for me than cigarettes? The long-term effects of e-cigarettes is still unknown. However, because they permit nicotine uptake in the body, they should be avoided as much as possible. For young adults and adolescents, nicotine is extremely addictive and its negative effects on the human body have been repeatedly cited over the last several decades. Education about the effects and consequences of nicotine use, especially among the younger generation, is essential.